Join Andrew Kramer, Lloyd Alvarez, Nick Campbell, Hayley Akins, Joey Korenman as well as hundreds of other like-minded motion designers and animators. The Meetup was the best one ever! We were at capacity all night! 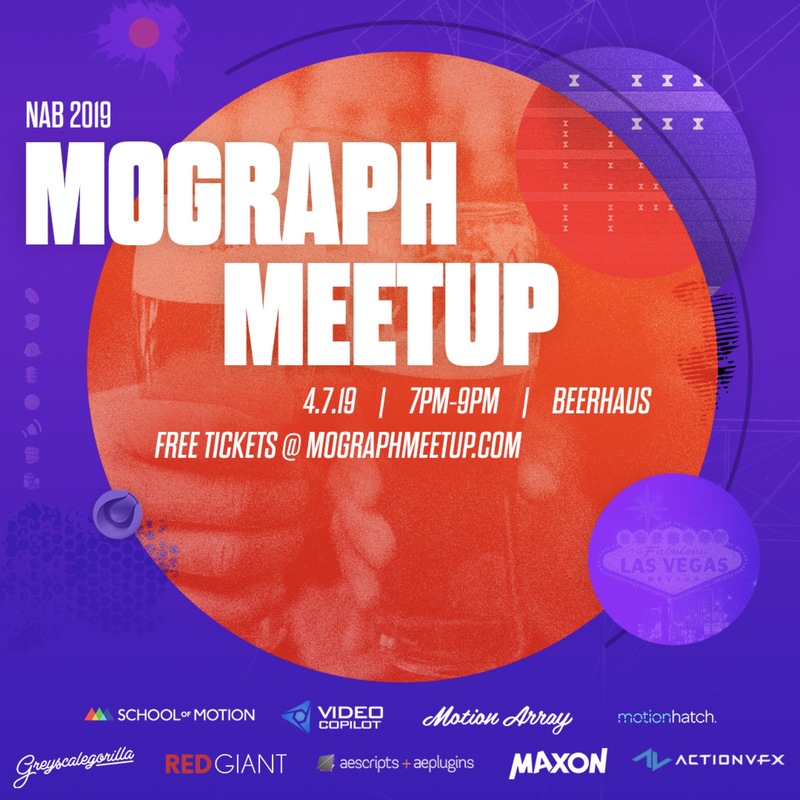 Thank you to everyone who made it out to the #NAB #MoGraphMeetup 2019. We had over 400+ motion design folks at the event and we are PUMPED to keep it going next year.